Possible other uses for OCC funds and details about the Eastern Gateway portion. During the 2015-­2016 NBDIP process, Oakley was awarded a $30,000 grant to design and establish cost estimates for Oakley’s Madison Road Neighborhood Business District (NBD) Eastern Gateway. This project could be considered the final right-of-way implementation project on a plan that has been 34 years in the making: the 1982 Oakley Square Neighborhood Business District Urban Design Plan. Project 10 of this 1982 plan called for “Improvements to the area around the pedestrian viaducts and the railroad overpass”. In 1995 the City began the efforts to update the 1982 plan, and on August 1, 2000 the Oakley Urban Renewal Plan was officially updated. 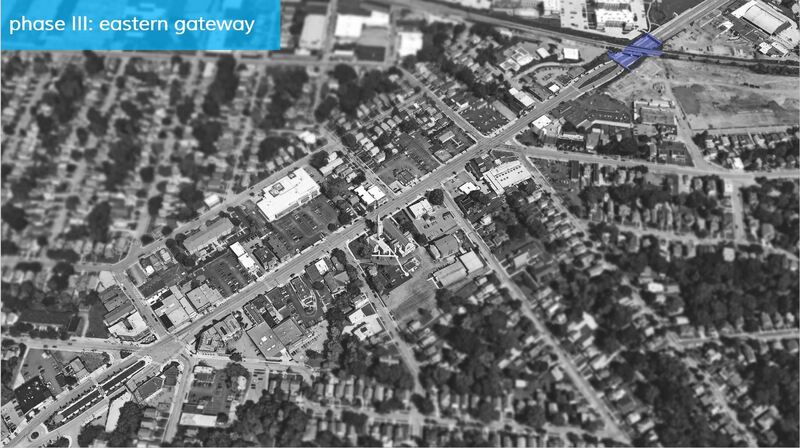 The plans show an early rendering of Oakley’s Madison Road NBD Eastern Gateway and the #1 Project in the right­-of­-way Improvements section is the “Oakley Business District Gateway”, intended to “Create a gateway improvement at the eastern portion of the business district by landscaping existing right­-of­way, including the existing traffic island, and by improving the existing pedestrian viaducts over Madison Road”. Esplanade grew by 50% with a space for live music and events. IN fact, we are in the 11th year of OAH. In summer months we bring out bands, kids entertainment, food, and most importantly, beer. We have turned the event into a profit generating event in which we as a council can give back to the community. Received a $400,000 grant for Phase 2 (CNBDU). The City subsequently asked if the OBDAC would relinquish the $400,000 to Kennedy Heights which was working to establish its cultural arts center. OBDAC agreed to release funds to Kennedy Heights. The City subsequently issued bonds via Oakley’s new TIF District that increased the amount of funding for Phase 2 to $750,000 which allowed new sidewalks for the entire Business District that the previous $400,000 NBDIP grant would not have funded. Unfortunately, due to significant construction delays and challenges (largely tied to old Streetcar tracks underneath Madison Road) Phase 1 and 2 were not completed until the end of 2011. After 5 years of construction (2007­-2011) and pressure on neighborhood funding to CNBDU, NSP, etc. the OBDAC decided to wait a few years before requesting funding to develop a plan for the “Eastern Gateway”. With develop nearing completion on the areas identified in the “June, 2001 Oakley North Urban Renewal Plan” and the completion of the Kennedy Connector, the OBDAC believed 2015 was the appropriate time to begin planning for design. 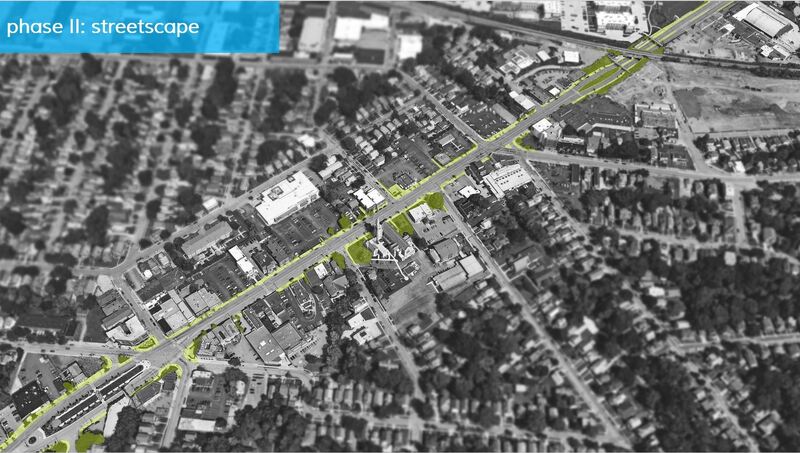 During the 2015 NBDIP process, Oakley was awarded a $30,000 grant to design and establish cost estimates for Oakley’s Madison Road Neighborhood Business District (NBD) Eastern Gateway. Since the 2015 NBDIP grant was awarded, the OBDAC has worked closely with City DOTE and DCED to assist in defining the scope, community priorities, and how to implement the Eastern Gateway in stages. In the 2016 NBDIP process, Oakley bid for and received $210,000 to put toward this project. The following year, 2017, Oakley also requested $210,000 to continue to fill the funding gap. It won the bid, but negotiated with the city to give up the $210,000 to another Cincinnati neighborhood in lieu of $720,000 in proceeds from the sale of city owned land to a private business.